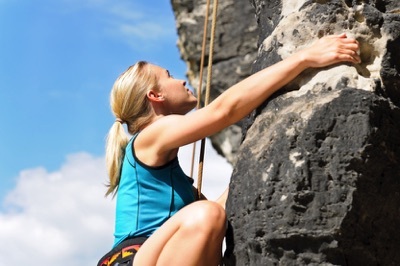 If you're looking for an activity that is exhilarating, will test your physical and mental skills and offers one of the best full-body workouts... Then rock climbing may be your sport! Envision Outdoors offers a wide selection of rock-specific courses to fit your needs and skill level... From beginners and first-time climbers in search of a guided day at the crag, to gym climbers looking to make their first transition into the outdoor world and even experienced climbers interested in honing their movements and refining their techniques... Envision Outdoors has a class for you! Scroll below to search our class listing and view details for each. Join us for a class on the art of knot tying and ropework! 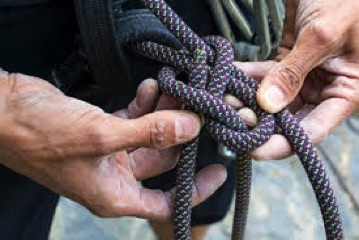 Knot tying has always been one of those key outdoor skills that the inexperienced take for granted. The experienced outdoorsman, however, has had enough success and failure to know that there are right and wrong knots for certain jobs. A good knot can save lives when you're dealing with a survival situation, performing first aid, and when working over heights or water. But, you have to know how to tie it... PROPERLY! You will learn how, when and where to tie an array of the most popular climbing and outdoors knots and gain a full insight into the history and uses of each knot presented and even get your own section of rope to keep and practice with on your own! The bulk of the day is spent putting these new skills to use on the cliff, with each climber able to get in a few climbs and descents. 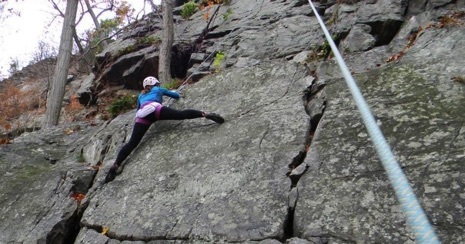 You will come away knowing what it is like to be a fully engaged and responsible member of a climbing party, and with a good measure of actual climbing time on the rock. *Climbers will be outfitted with all technical equipment for the day. You are welcome to bring your own equipment but it will be subject to approval by your guide. 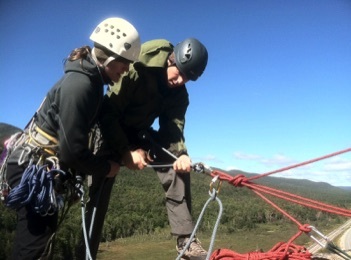 Equipment provided includes harness, helmet, and climbing hardware. 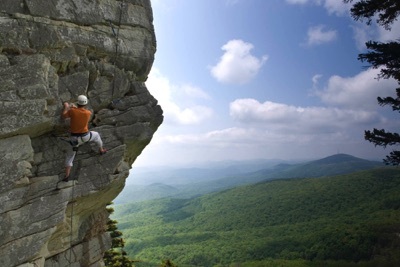 Climbers will be expected to arrive dressed appropriately for the weather and provide their own lunches for the day. When it is time to start heading out on your own, you’ll want to hit this course first. We’ll take your knowledge and experience on the rock and fine-tune it to address the myriad issues that come with establishing toprope systems. 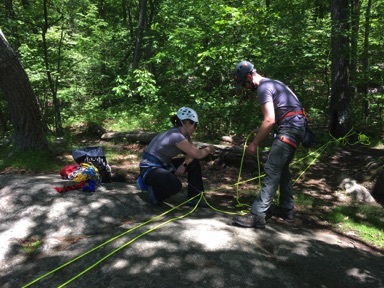 You’ll learn how to assess a site for climbing and anchoring potential, and how to set anchors at the top and bottom of the crag using a variety of methods and materials. We’ll also cover how to deal with the typical issues that can complicate a day of toproping: difficult cliff-top access, troublesome situations at the edge, awkward descent options, and other potential problems.